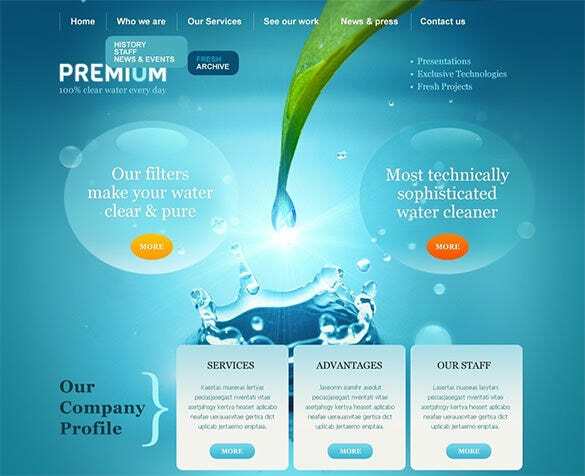 Be it for small non-commercial blogs or for personal sites, the Water WordPress Themes can be created with 100% responsive sites. 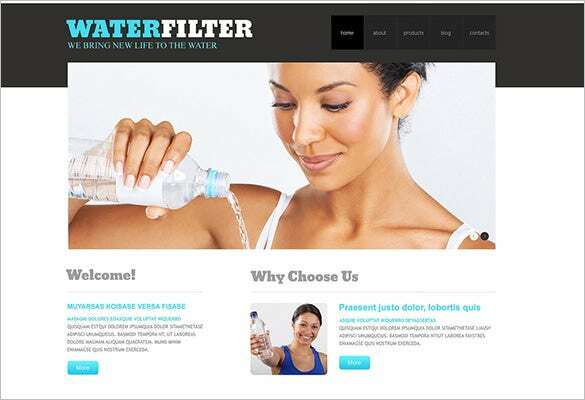 The premium templates available are well suited for making the commercial blogs of the companied water bottles. The responsive design comes with the visual composer, home carousels and revolution sliders. Moreover, the contents are all SEO friendly which makes it ideal for professional, portfolio or blogs. You can also see Blue WordPress Themes. 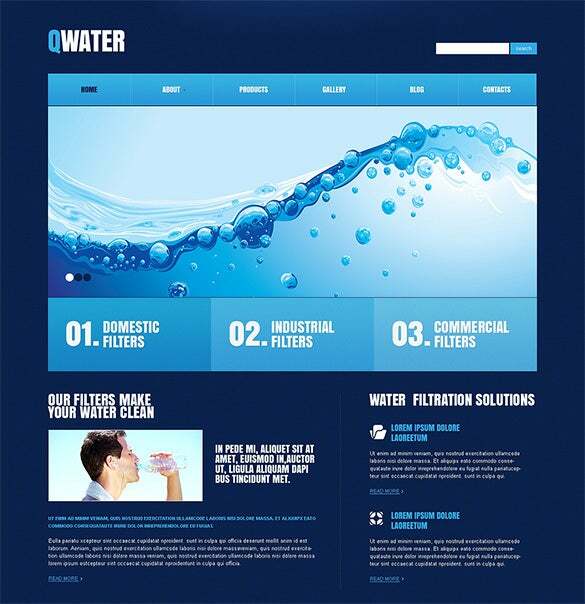 The Water theme is ideal for water filtration business blogs. 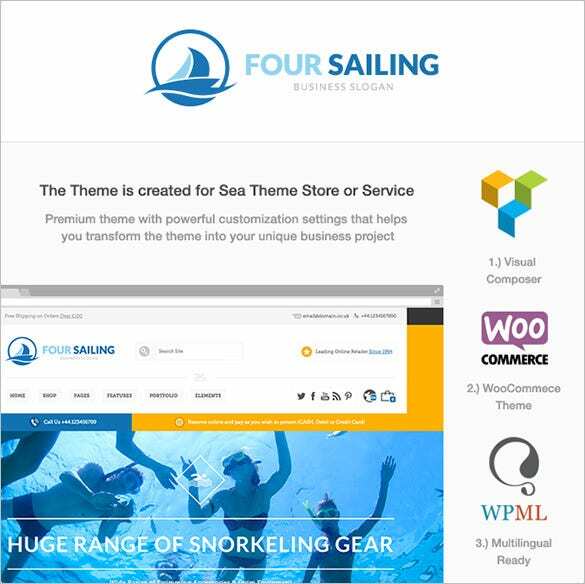 It features admin panel, responsive theme, WPML available, bootstrap version, is bundled with PSD and PHP sources and it has two columns layout. 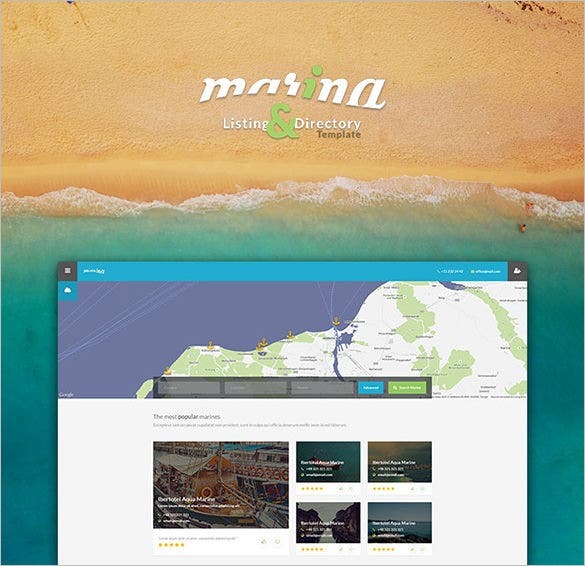 Marina is applicable for a number of purposes with its multipage templates. The characteristics include jQuery, LESS, HTML5, CSS3, Google Maps, responsive design, customizable themes and efficient documentation. Water Delivery is an ideal theme for small business endeavors. 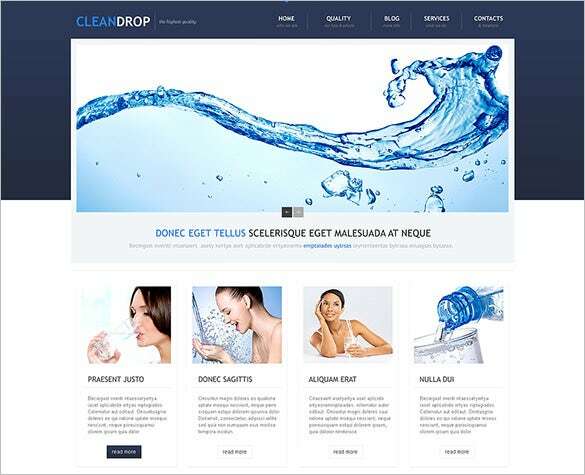 It comes in the bootstrap version with admin panels, WPML, two column layout, HTML plus JS animation, eighty plus short codes, operational SEO and the theme is available with PSD and PHP sources. 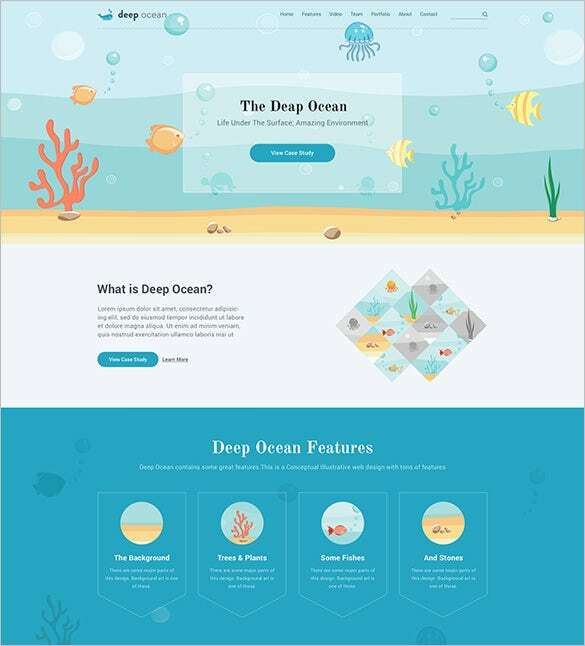 DeepOcean is single page parallax theme, powered by bootstrap 3. 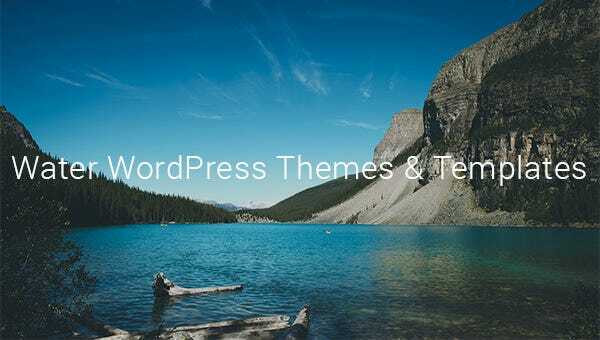 The theme also incorporates revolution slider, supports cross-browsers, Google fonts, sticky headers for navigation, highly sensitive design and layout. 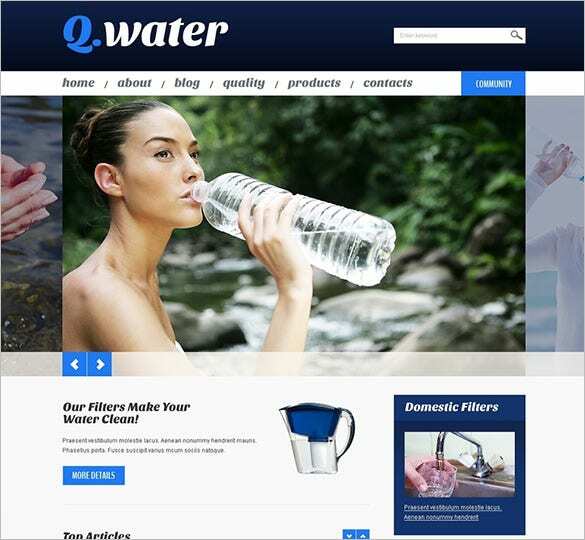 Qwater is an ideal theme for foods and drinks blogs. The template features desktop, tablet, and smartphone (landscape and portrait) layouts, also incorporates admin panel, responsive design, bootstrap version and HTML plus JS animation. 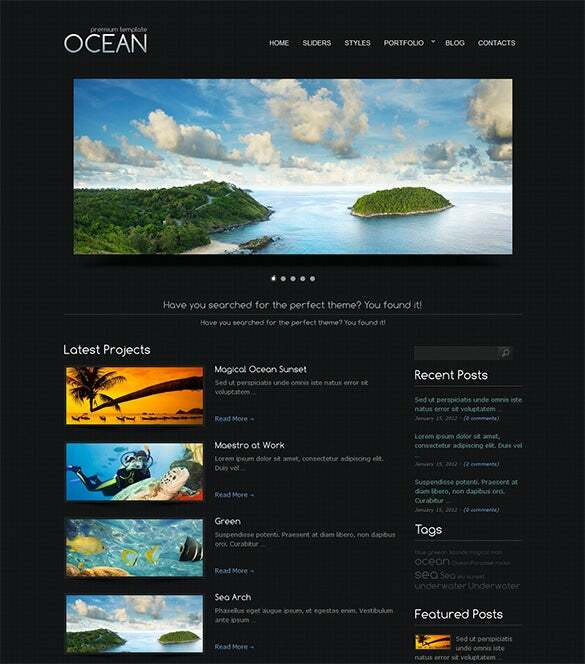 Ocean theme is a fitting design for photographers, personal and useful for other blog activities. It comes with a compatible cross-browser, limitless background colours, 960 grid systems, ready widget, more than twenty short-codes, double sliders. Jumbo shortcode packs are available with each of the free download of the templates. The print ready instructions will help to create the website easily even for the beginners. The ad-ready templates come with contact and subscription forms which can help you track your readers.